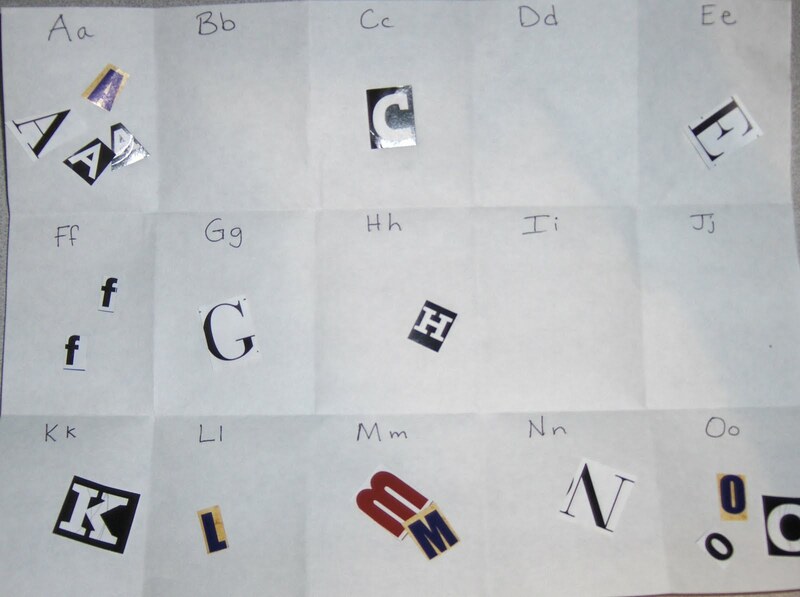 Sort and Glue Letters – I cut out a handful of letters from junk mail the other day and gave B this paper to glue them on. He had a great time matching them up and commenting on the different fonts. Great idea. Sure this thing would help my daughter on her learning.Thank you for sharing this ideas. This looks like something we would do in our home. Actually looks like something I did in my classroom before I started homeschooling. Early literacy through play! 🙂 Thanks for sharing. Glad you found the recipe guides. I’ll continue posting more throughout the coming weeks. 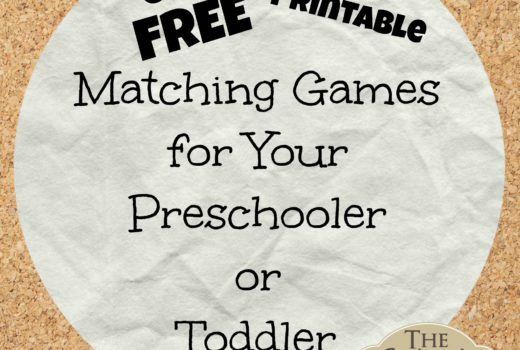 Did you find the printable books? You might like those too. Fun idea! I love your site! Thanks for connecting with me on GFC! Great Idea! These thing will definitely help kids to Learn!! Thanks for the great share. This is simple and easy to do. Not to mention it can be done without any money spent! 🙂 Love the idea! I like this idea. 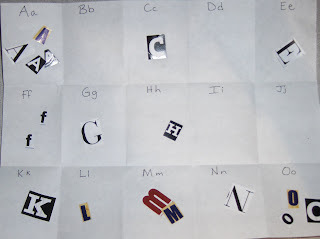 Although in the classroom I would have to have the children cut their own letters out to sort. Otherwise it would be way too big a job. Once again, LOVE your ideas! Brilliant use of things in the house! !